Why are private investors willing to invest in infrastructures through PPPs? 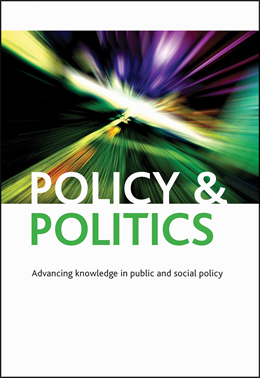 Our recent Policy & Politics article entitled Commercial investment in public-private partnerships: the impact of contract characteristics explores whether the characteristics of such contracts affect the degree of private-sector investment in PPP projects. In our study, we investigated the relationship between contract characteristics and private investment in the PPP market, using some of China’s PPP projects as our empirical data. Since 2014, China’s central government has made strenuous efforts to develop PPPs for building infrastructure and delivering public services. As the largest PPP market in the world, China offers an excellent case for investigating our research question. Our findings suggest that the extent of private investment in PPP projects tends to be (1) motivated by the use of a competitive tendering process in awarding contracts; (2) increased in large projects (large projects would achieve economies of scale) and projects with higher levels of asset specificity; and (3) significantly associated with specific contract types (eg a higher degree of residual rights retained by the private sector would stimulate more private investment). These findings are important because the study complements the existing literature by elaborating on contract characteristics, including ways of awarding contracts, complexities of the contract, types of contract, and contract duration. We illustrate the multidimensional impacts of contract design on private investment, enriching the existing studies that only focused on the relationship between contract design and PPP performance. In addition, our micro-level analysis provides practical insights for policy makers in local governments who are interested in attracting private investment. Such contract-specific factors are much easier to change than external factors (e.g., law, political stability, and control of corruption) and will be of interest to researchers interested in PPP, government policy-makers and commercial investors.